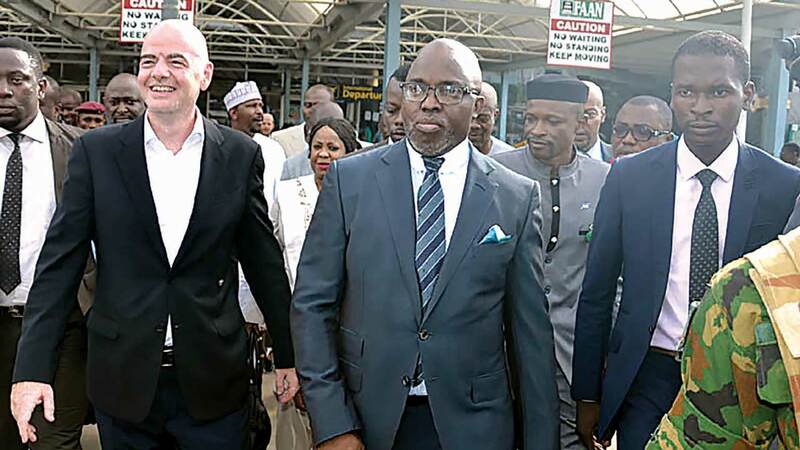 NFF President, Amaju Pinnick (second right) with FIFA president, Gianni Infantino when the world soccer governing body’s boss visited Nigeria at the heat of the crisis… last year. 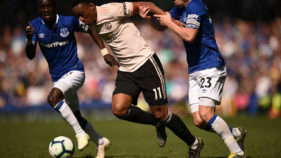 Football all over the world, not only in Nigeria, is more than a game of 22 young persons running after an inflated leather. It is big business and the fight for the control of its political bureaucracy in Nigeria is actually a fight for the big bucks. Since 2005 when former Nigeria Football Association (NFA) Chairman, Ibrahim Galadima was impeached by some ‘stakeholders,’ who claimed to be working in the interest of the game, the country’s football has been gripped by a quadrennial leadership crisis, which ensures that no regime serves more than one term. In some instances, operatives of government, including the serving sports minister and his top directors, who claim to be working in government’s interest, fuel the crisis. Before the last NFF elections, which returned Amaju Pinnick as the president of the federation, a group, led by Jos-based Chris Giwa, fought to take over the federation, claiming they had the mandate to rule Nigerian football through an election purportedly held in 2014. With the tacit support of Sports Minister, Solomon Dalung, the group temporarily occupied the NFF secretariat until security operatives drove them away. But, even after the Federal Government stepped in to restore the Pinnick-led board to power, the group has been waging a relentless war against the NFF, ostensibly with Dalung’s support. In a recent interview he granted Channels Television, Dalung hinged his disdain for the leadership of the NFF on the officials’ show of disrespect to his office. He said, “The NFF must respect me. If I was not a very simple and kind person, there would have been more serious trouble by now. Dalung also accused the NFF of profligacy, saying they spend the federation’s resources on mundane things. He said, “Peace has come to the NFF because we are now looking at players’ welfare only. What has been bringing crisis in the federation is what people do with the resources. “They spend more money servicing unnecessary friendships and ego projection than they spend on the players. Check how much we pay the players and the money they spend on their friends. Go and check how much we pay the players and take it out of the budget. If government concentrated on the players, the federation would be more innovative in looking for money to service their friendships. “If anybody wants to benefit from players’ money he should become a player. That is why we have decided to spend the money directly on the players. Dalung’s stance on the Federal Government’s monetary allocation to the NFF, according to some stakeholders in Nigerian football, lends credence to the belief that the crisis is about getting hold of the enormous resources in the game. 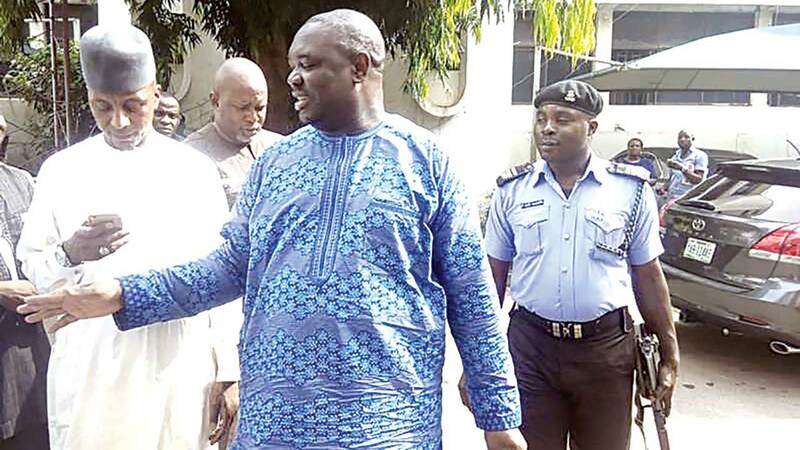 Pointing to the alleged N140 million spent by Chris Giwa’s group during the short period they occupied the Glass House, they argue that most of the combatants in the recurring crisis would not fight for the positions if the Federal Government and world body, FIFA decided to stop funding the game. FIFA recently announced a new payment regime, which would give each affiliate country $5.5 million every four years, more than double what they received in the previous budget. Additional funds of up to $250,000 per year are also made available to cover travel costs and provide training equipment for FIFA’s poorest nations. For qualifying for the Russia 2018 World Cup, Nigeria earned $12.5 million (which is about N4.5 billion) from the world football governing body. This was divided into a $10 million (N3.6 billion) qualification bonus and $2.5 million (N900 million) for the Super Eagles to prepare for the tournament. The federations are expected to use the money in settling players’ entitlements, prepare their teams for the tournament and also develop football in their countries. Nigeria also got its share from the $700 million distributed among the participating countries of the 2018 FIFA World Cup in Russia. The money was distributed according to the stage reached at the World Cup with the winner taking home $50million. This sum is apart from the N1.5 billion the Federal Government budgeted for Nigeria’s participation in the Russia 2018 World Cup. The current NFF leadership has also brought the private sector into some of its programmes, with oil and gas outfit, Aiteo one of the federation’s main sponsors. Apart from a N2.5 billion five-year agreement with the NFF for coaches and players’ salaries and entitlements, Aiteo has also invested more than N10 billion in other properties, including the national team’s friendly games. The average NFF yearly budget is N5 billion with N2.5 billion of the sum coming from sponsorship. The rest comes from the Federal Government and proceeds from the sale of NFF property. Last year, the NFF budgeted N6.3 billion for its activities, with N3.06 billion expected from the Federal Government. And so it is these enormous resources that the gladiators in the crisis fight to control. While many may argue that Galadima was removed from office because his administration failed to take Nigeria to the 2006 World Cup, Alhaji Sani Lulu’s board, which ensured that Nigeria not only made the first World Cup to be hosted in Africa in 2010, but also won the bronze medal at the Nations Cup in Angola the same year, was also booted out. Lulu’s board was accused of financial malfeasance, including buying a refurbished luxury bus for the Super Eagles, chartering an abandoned and rickety aircraft to convey the national team from England to South Africa and not being able to see the team beyond the first round of the World Cup. At every turn, there are always willing stakeholders ready to be used in toppling a serving board. In 2014, even before the first ball had been kicked in Brazil, Nigerians knew that Aminu Maigari’s tenure as NFF president would end after the World Cup following moves by the then Sports Minister, Tammy Danagogo to control the federation. Danagogo got the opportunity to move against the Maigari board when the Super Eagles started complaining about unpaid entitlements in Brazil. This was in spite of the money the NFF got from FIFA to prepare for the competition and the subvention given to it by the Federal Government. Danagogo’s bid to install his candidate after the Brazil 2014 World Cup created the current crisis as some stakeholders, including Chris Giwa, capitalised on the confusion to lay claim to the federation’s top positions. Even when FIFA stepped in to supervise the 2014 elections, which brought in Amaju Pinnick as NFF president, the foundation for a protracted crisis had been laid. Aside from the money involved locally in the NFF, some football ‘stakeholders’ see the federation as an easy route to international bodies, which membership opens doors to different opportunities. When Dr. Amos Adamu was a member of the CAF and FIFA executive committees, he was one of the most powerful figures in world football. He was among those who decided hosts for international competitions and the composition of the organizing committees. Adamu was so influential that potential hosts courted his support for their bid. That inevitably led to his downfall when he was caught by undercover journalists accepting an $800,000 bribe to vote in the 2018 and 2022 World Cup bids. 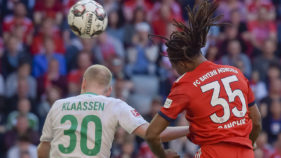 Adamu received a three-year ban and 10,000 Swiss franc (£6,341) fine from Fifa’s ethics committee after being found guilty of breaching bribery rules. The Sunday Times of London had published a footage portraying Adamu and Tahiti’s Reynold Temarii agreeing to accept bribes to sell their votes to countries bidding for the 2018 World cup. Adamu allegedly wanted $800,000 in return for his vote. This humongous sum of money that flows in football has energized ‘outsiders,’ who want to be members of the federation’s executive committee for different reasons. An NFF official told The Guardian on Tuesday that some of those fighting to be in the federation are doing so because they see easy money in the body. “If you recall that from 2006 to 2014 some people held the Nigerian league in the jugular such that every money that came into the competition was channeled through them and they in turn gave the then league body, Nigeria Professional League (NPL) a fraction of the sum to run its operations. “One of the rights was the broadcast right, which was sold to SuperSport for $5 million, which amounted to N750 million. They collected the money and paid only N150 million to the league body, owners of the competition. “When the NFF dissolved the NPL and set up the League Management Company (LMC), the new outfit cancelled the arrangement. But these people have not given up since then. They want the old order back and that is why you see their signature in the current NFF crisis,” the source, who pleaded anonymity, said. He added: “If you recall, in our recent history, Globacom, which was the Nigerian Premier League’s title sponsor, had a N1.5 billion deal with the league, but nothing of that money got to the clubs. Another stakeholder, Chinedu Okoye, who contested for the presidency during last year’s NFF elections, said until Nigerians began to ask questions on how football is run in the country the crisis would always persist. Okoye, who owns Bimo FC of Lafia, accused the NFF leadership of running a closed organisation, alleging that it is very difficult for non-members of ‘their league’ to gain entrance into the federation’s board. He added, “there is sponsorship money from Coca-Cola and other big companies; you cannot run NFF like a cabal or your father’s property because it has a mandate to develop football in Nigeria. Ade Ojeikhere, who is the editor of Sporting Life, a sports only newspaper published by The Nation newspapers, believes the crisis in the NFF persists because there is no clear qualification stipulated for people interested in getting on the board. “Unlike in CAF and FIFA, where there is a clear path one must follow to become a board member, the NFF has a free for all situation, where anybody can wake up, mobilise some people of like minds and start laying claim to the board. Some people believe it is their birthright to be in football administration and such people do anything and everything possible to get there. Former FIFA-badged referee, Linus Mba sees the battle for the control of the NFF board as unfortunate given that there are laid down procedures for election into positions in the federation. Mba, a former chairman of the NFF Referees Committee said so many of those involved in the crisis are interested in what they would get from their position rather than what they want to contribute to the growth of Nigerian football. “I got into the board a long time ago because of the talent in me, which is refereeing. But some people have ulterior motives. They may not even want things to go the right way so that they can continue lining their pockets. Some of them don’t have other jobs… all they want is to make money from the federation. So, they will do everything possible, no matter how unethical, to get into the board. Former NFF First Vice President, Amanze Uchegbulam believes the Nigerian system allows all manner of people to abuse the system, including getting into positions through the back door. He said, “It is normal human behaviour to want to get into the board, but it has to be through the due process. Unfortunately, people don’t want to go through the laid down procedure. Uchegbulam believes it is every Nigerian’s right to aspire to leadership positions, so long as he follows the right process. “The process stipulates that an aspirant should move from the local government to the state level, from there to the NFF and from the NFF to CAF and/or FIFA. Ambassador Chris Giwa claims he has the mandate to be NFF president. “One can also come through the affiliate bodies. It is no longer the way it used to be where people got government’s support to force themselves into the board. Like Uchegbulam, Kano Pillars’ Chairman, Tukur Babangida sees nothing wrong in anybody aspiring to become a member of the NFF board. What he frowns on are the desperate moves and foul means some individuals are using to realise their ambition. “It is normal in a public institution for some people to challenge the incumbent leadership because no leader can claim 100 per cent support for his administration. “In Nigerian, football administration is a bit dicey because everybody knows how to play or coach the game. Those who don’t know anything about sports administration think they are better than the people in position of authority. “However, if there was nothing, no financial benefit in the administration of the game, not many people would struggle for the positions. Abia Warriors Chairman, Emeka Inyama sees the battle for the soul of the NFF as a quest to get hold of the enormous fortune and fame football can bestow on individuals. 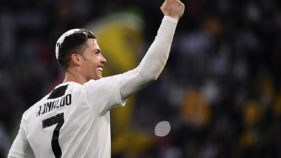 He points at the adoration football personalities attract worldwide, adding that many people have ridden on the back of football to big political positions. He said, “The NFF’s main business is football and football is very attractive. It can give one unimaginable publicity. It has its own lure and attractions, which you cannot get anywhere else. “Football opens doors. The NFF president can enter anywhere and go to places even heads of government cannot enter. “Ronaldo, Messi, Kanu, Okocha, Maradona and Pele are world figures revered all over the world. George Weah became president of Liberia because of the fame football brought to him. “Even in Nigeria, some people rose to become governors after serving as successful club chairmen. Sports lawyer, Sabinus Ikewuaku believes the constant crisis in Nigerian football will end when government allows the private sector to run the sport. He said the money appropriated to football by the Federal Government, which in many cases are not accounted for by those running the game, has made the Glass House so attractive that people want to kill themselves to get their hands on the money. “There is a bill at the National Assembly for the autonomy of the NFF. It has been passed by both arms of the National Assembly; what remains is for the legislators to come together to harmonise it. But they have not done that because some people want to be settled first before they do the job. “If the NFF bill is signed into law, the federation will have to cater for itself and then, only those genuinely interested in the growth of the game would aspire for its leadership.